Mike is a full-time co-Owner of Roots to Wings. He is a certified 500 hour teacher in the Kripalu lineage, studying initally with Sudha Carol Lundeen and Jurian Hughes and most recently with Devarshi Steven Hartman and Jovinna Chan. 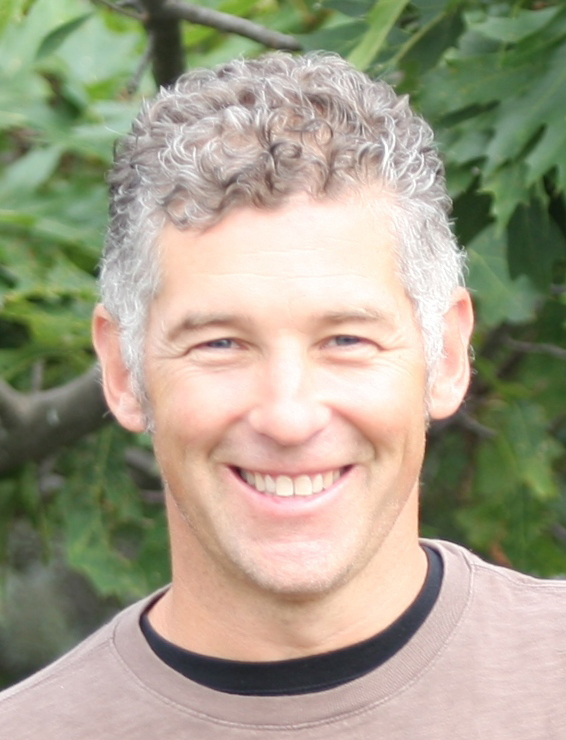 In addition to Kripalu Hatha yoga (postures for physical and mental health), Mike has practiced and studied physical, energetic and spiritual healing under the guidance of Spiritual Teacher and Healer Chun Shim nim. He loves Kirtan (devotional music) and is inspired by the opportunity to combine yoga, music, and movement in a group setting for healing and transformation. His musical tastes are heavily influenced by dear friends Dave Russell, John de Kadt, Benjy and Heather Wertheimer, Gaura Vani, Vish Sheth, and Brenda McMorrow. He brings a strong working knowledge of the meridian and chakra systems to his private healing yoga classes. Mike teaches a more meditative and gently demanding form of Hatha yoga with longer holds and incorporates meridian stretching and energy practices for self-healing and cultivating prana (energy). Mike has a strong interest in Ki gong, meditation, Christian contemplative practices (centering prayer), chant, and mantra. He has degrees in Economics and History from Rutgers College and holds an MBA from Boston University. He worked for 25 years in the corporate world as a management consultant for Deloitte and Chief Information Officer for a subsidiary of Irving Oil. As coach of his oldest daughters Assabet Valley club hockey team Mike has helped lead the team to three straight Massachusetts State Championship games, winning two, and two National Champtionship appearances, winning one. Mike is available for private healing or yoga by appointment. "My greatest wish is for Roots to Wings be a place of true transformation that inspires people to experience a healthy body, happy heart, and peaceful mind to live their life to their fullest potential to heal themselves and others." Mike is a lifelong resident of Newbury, meditative golfer, hockey, lacrosse, field hockey, baseball, and dance dad, and lives in the Old Town section with his wife Beth, and their four children, Ashley, Emma, Connor and Griffin.